This is no longer about hush money payments made to silence women who allegedly had affairs with the president. Thursday's developments between President Donald Trump's former attorney Michael Cohen show that he's not only dealing with those campaign finance violations in New York federal court -- we now know he's cooperating with special counsel Robert Mueller for the first time in his investigation into Russian meddling during the 2016 campaign. Cohen is now telling Mueller he lied to Congress about the extent of the Trump organization’s negotiations with Russia for a possible Trump Tower project in Moscow. 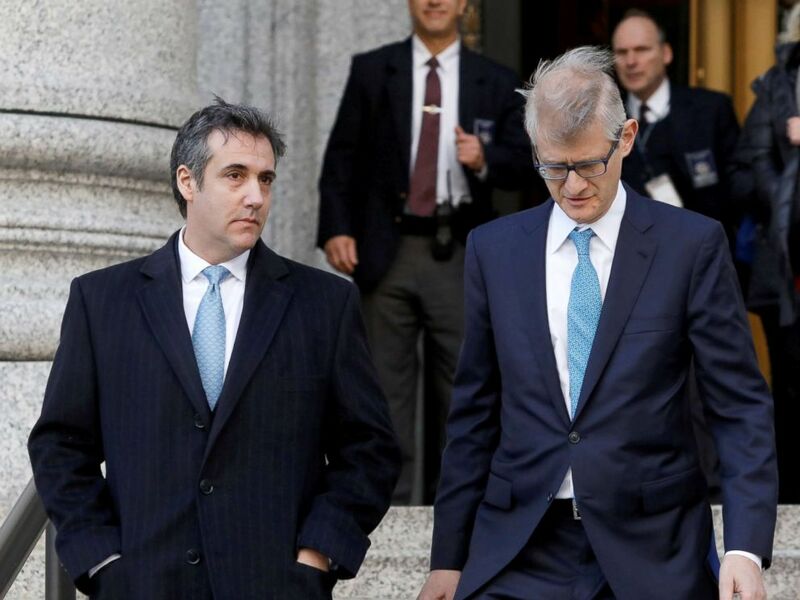 According to the court documents filed on behalf of Mueller, Cohen told Congress negotiations for the Moscow project stopped in January of 2016 -- a time frame that falls within the campaign. Now, he's telling Mueller it went months beyond that. In fact, the court documents show that Cohen admitted the talks for a Trump Tower in Russia extended into June of 2016 and that he was in talks with the Russian government for approvals. He also told Mueller that he was in talks about the possibility that both he and Trump could travel to Russia. Cohen said he was considering a trip for Trump after the Republican convention in July of 2016. In one exchange in the court documents, Cohen wrote: "My trip before Cleveland. [Individual 1] once he becomes the nominee after the convention." Individual 1, also described as the head of the company Cohen works is believed to be Trump, based on these description in court documents. We know Trump was asked about the Trump Tower Moscow project as part of the list of written questions from Mueller, according to sources familiar with the president’s responses, and we know that Trump has submitted his responses. Trump's attorneys are saying that those written answers match what Cohen told Mueller. If those written answers conflict with Cohen's new narrative, that could be problematic for the president. President Donald Trump's former lawyer Michael Cohen exits Federal Court after entering a guilty plea in Manhattan, New York City, Nov. 29, 2018. Standing on the White House South Lawn before departing for the G-20 Summit in Argentina, the president repeatedly called his former attorney and longtime fixer a "liar." Here's what Trump said at the White House an hour or so after ABC News broke the Cohen news Thursday morning. "It's very simple: He's got himself a big prison sentence, and he's trying to get a much lesser prison sentence by making up a story." But if Trump's lawyers are telling the same story, why is Trump calling Cohen a liar? The president seems to be justifying the behavior he claims Cohen is lying about. Trump is currently on a plane to Buenos Aires, Argentina, where he'll meet with world leaders. Just after boarding, and a little over two and a half hours after Cohen’s plea was announced, the president announced he was cancelling a planned meeting with Russian President Vladimir Putin on Saturday. Trump said he’d cancelled the meeting because Russia is holding Ukranian ships and its sailors after its navy fired on them off the Crimean Peninsula on Sunday.